Join in the handicraft activities in the Bollo Club and see what you can make! 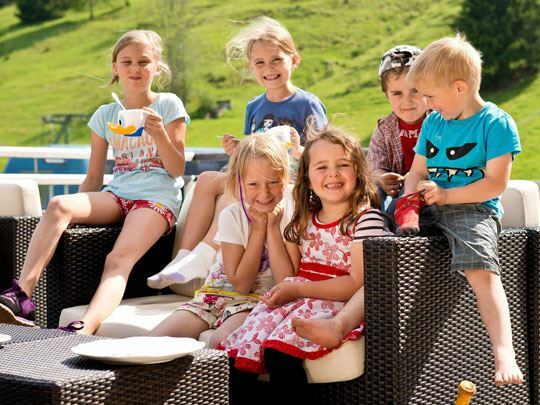 Landal Brandnertal is a real play paradise for children. 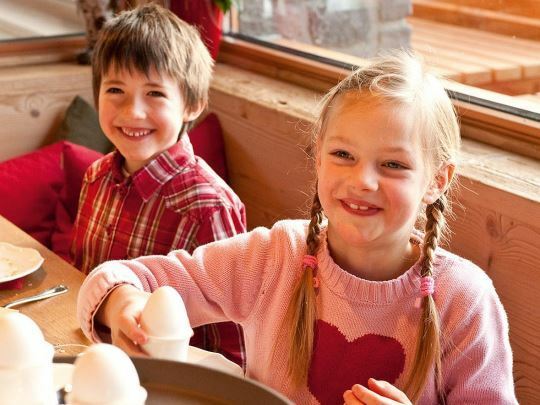 Spend hours in the indoor play area or make new friends in the playground. Together we will make it an unforgettable holiday. Wake up, the sun is shining. After a lavish breakfast with fresh warm bread rolls, you'll be ready for a new day. Get out there and discover the area, visit museums or visit the cheese farm. 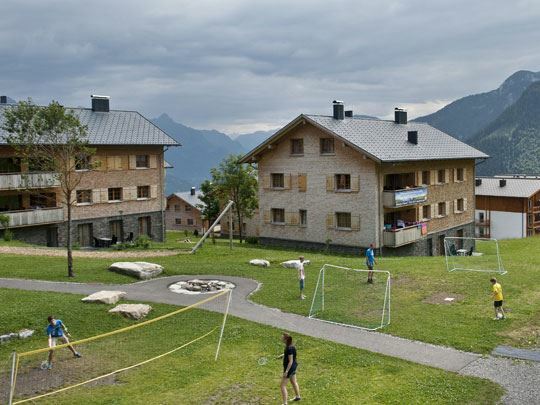 Take the lift to the top of the mountains and enjoy the fantastic view. Are you a real swim enthusiast? 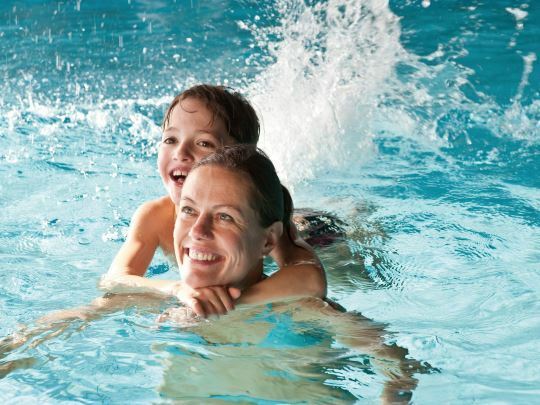 Swim a few lengths, or splash around with the little ones in the separate paddling pool. Unwind in the relaxation room and enjoy the panoramic views. 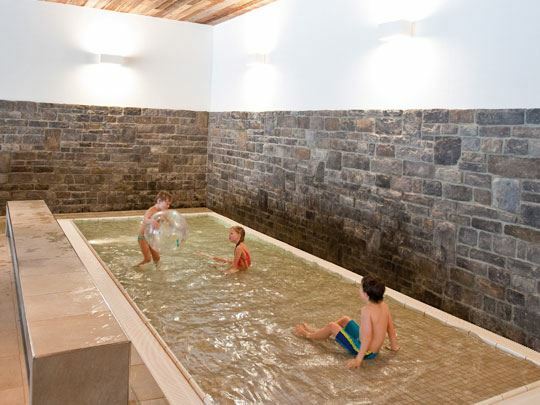 The Landal Brandnertal indoor swimming pool offers fun for all the family. Been out all day? Give your muscles a rest in the colour/bio sauna, or have a snooze in the relaxation room. The whirlpool is a great way to round off the day! 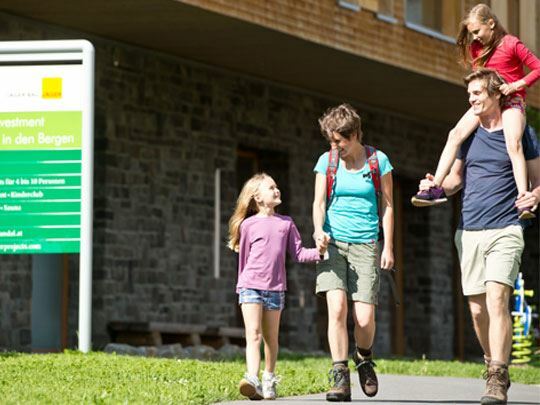 All that hiking, playing and the various activities are sure to make you hungry. Having a lovely dinner together in a restaurant in the area, eating an ice cream, or simply preparing something together in your apartment. You can get your shopping from the mini-shop at the park - easy! Tuck in!